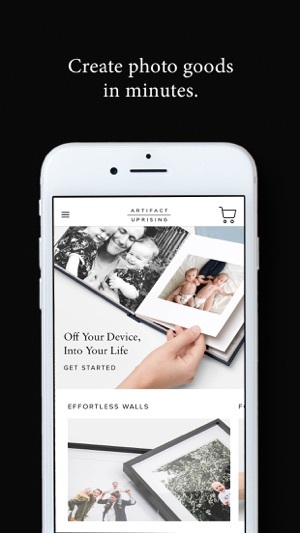 Featuring high-quality photo prints and elevated design, the Artifact Uprising app allows you to move photos off your device and into your life. 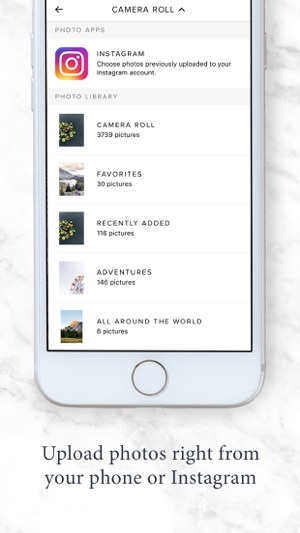 Seamlessly access photos from your Instagram or camera roll and print meaningful photo goods in no time. 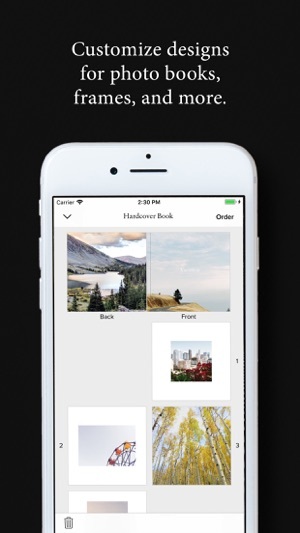 Make a custom photo book with your iPhone snaps, wedding photos, travel memories, or everyday family moments. Featured by Oprah, Vogue, The Today Show, RealSimple, Travel + Leisure, InStyle, and more. To see our complete collection of photo albums, prints, gifts, and more, visit artifactuprising.com. For support questions about your Artifact Uprising order, shipping, or pricing, please email help@artifactuprising.com. For Mother's Day, it doesn't take a grand gesture to show her your gratitude — just a simple photo can say it all. As always, we’re here to help and grateful for your feedback to help us continue making improvements! They have an incredible brand, but when will they actually make stuff that works? I love Artifact Uprising’s brand. They really know how to market themselves. But I have an issue with their app, specifically their volumes series, which hasn’t been working as promised. When I first started the series, it would tell me that the project was there but wouldn’t show me where, and when I clicked on the volumes tab, it would repeatedly ask me to set up my payment and shipping options. Now I can actually access the project - except that it crashes every time I click on it. I’ve been following AU since they were acquired by VSCO (a camera app I LOVE), and like I said, I love their branding. So it’s really disappointing to see a company sink so much in their marketing to brand themselves as the best quality out there, only to not follow through on the quality of their products. I haven’t been able to even test their physical products yet because the one product I want, it won’t let me have. 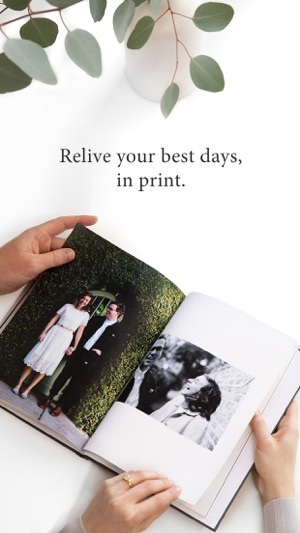 Great app for getting pictures off our phones and into high quality print! I have used other companies but the quality does not compare! I change out my wall gallery photographs often for mood and season with the ease of pressing of a few buttons! Also, LOVE the wood calendars that everyone in my family now has and each year I easily send the refill pack with new photos and they are able to save the old photos. My grandma loves the ability to have ALL the photos to easily show off whenever she pleases! Beautiful products, app much improved! I’ve always loved Artifact Uprising’s beautiful products and have used their app several times because it’s the easiest way to print photos from my phone. The app used to be a bit frustrating because I could only have one project at a time and I had to order everything separately. Not ideal! But now they fixed it!! I’ve already started projects for my parents’ birthdays and Valentine’s Day next month and I’m so excited to be able to edit each project in my own time and have everything shipped all at once!